This is a flashback post. It should have been posted since but we lost the files-Laptop crash. 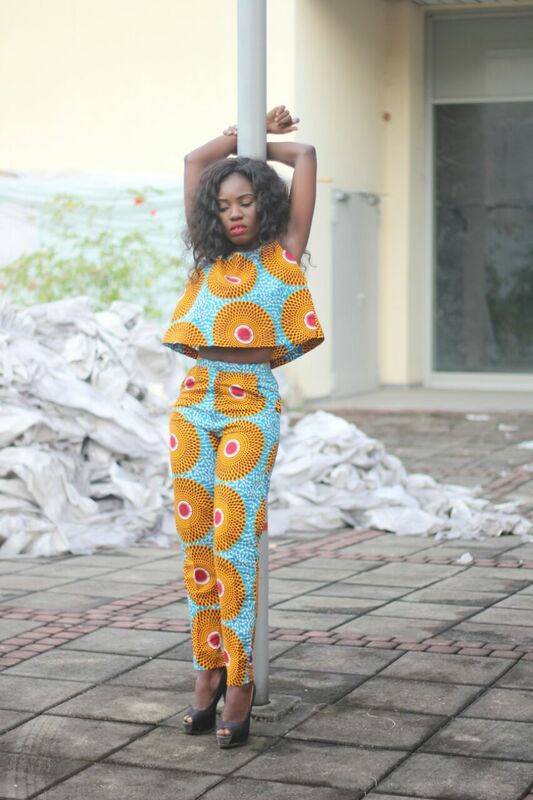 We consulted Tee for an Ankara inspired post a while back. You know the Ankara fever was way up there and it just couldn’t be resisted. 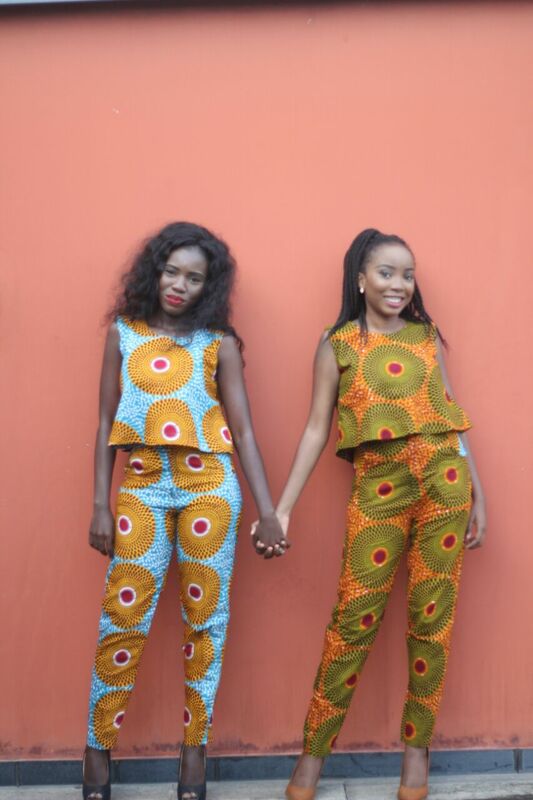 She came up with this cool idea of a twin Ankara shoot.. Same design, different colours. We fell in love instantly. What I love most about the whole thing was actually the planning. We shopped the fabrics with her, she had her seamstress sew them to specifications and even provided most of the accessories even. The shoot was interesting. With the choice location and hair flying everywhere..
Pose director and camera genuis – Mide Coker. Background music by Lado and MaryKaren. Tee herself making sure every pose and angle accentuated the beauty of the vibrant colours of the prints, the sharp and neat details of the clothes and generally the confidence from the models- us. The pictures will not even do justice but an Ankara piece is a necessity in your wardrobe. It can serve any purpose, believe me. Dress it up,dress it down, use even as blanket sef. 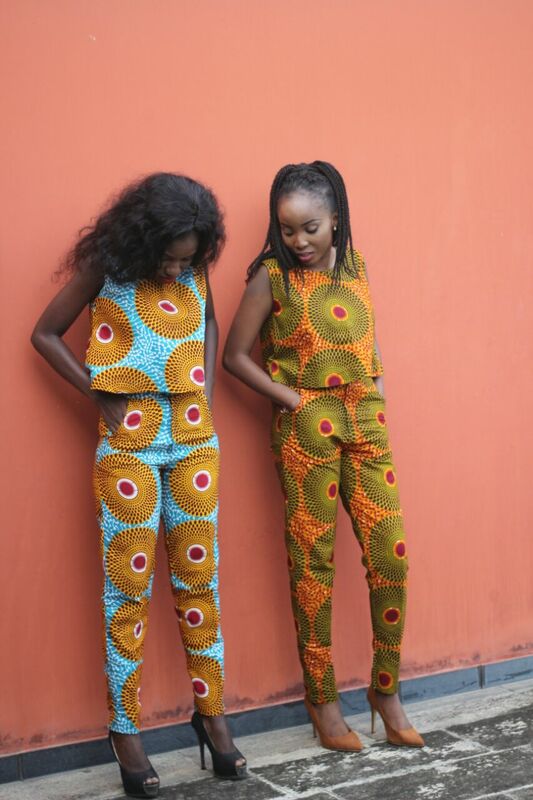 And with all the slayers on AsoebiBella making you crave this extraordinary styles, really what’s not to love in Ankara? Follow on the gram @ourblogazine @village_geh @midecoker CZ! This entry was posted in ...Inspired, Fashion., Ourblog stuff, Rate My Style and tagged Ankara crop top, Ankara fever, Ankara pants, blog advertising, prints, village girl. Bookmark the permalink.